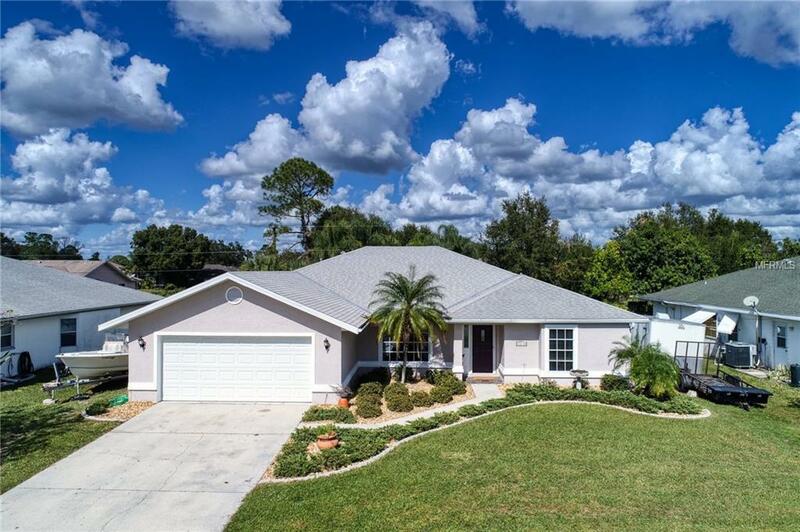 Gorgeous pool home awaits new owners, with 3 bedrooms, 2 bathrooms, a den (being used as 4th bedroom), a private backyard with great privacy fence, deck, hot tub, pool and more! Enter this amazing floor plan with so many amazing features, including butcher block counters, tile/laminate floors throughout, custom light fixtures, and a functional and open floor plan perfect for entertaining with a large breakfast bar and kitchen open to the dining and great rooms. The master suite has excellent updates including dual vanities and a newly remodeled separate shower and large walk-in closet. Opposite this side, find 2 guest bedrooms and a shared bathroom, also updated. The home has all new plumbing recently redone. In desirable Section 15 of Port Charlotte, nearby great shopping, restaurants, schools, parks, and more, this home is ready for you! Schedule your showing today!